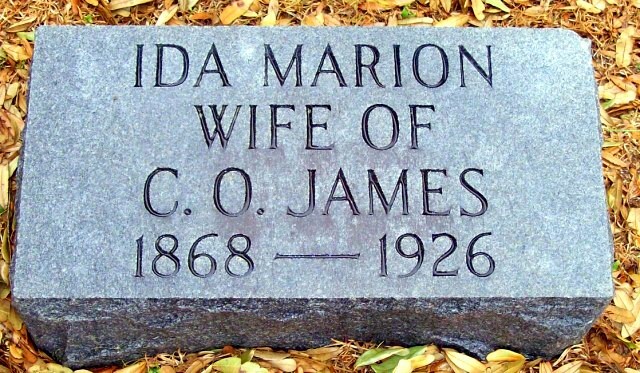 Ida Marion Whatley James is my 4th cousin, 4x removed. 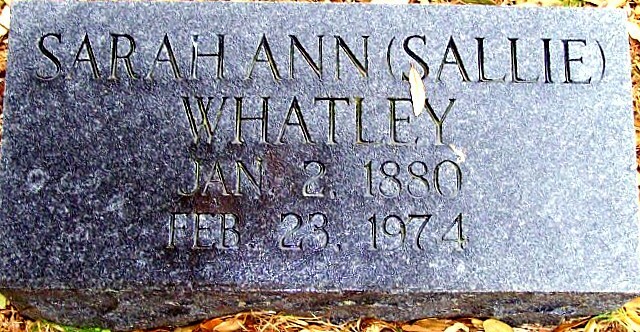 She was a daughter of Jesse J. Whatley and Nancy Berry. The death of Mrs. C. O. James, former State Senator and District Attorney, occurred at her home after an illness lasting several weeks. 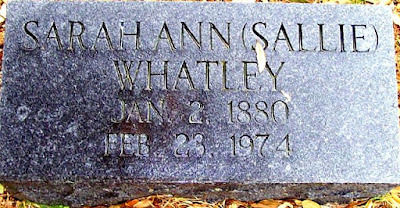 Mrs. James, about 55 years of age, was before her marriage to Mr. James, Miss Ida Whatley, a member of one of the pioneer families of Hopkins County, and of this family her mother, Mrs. J. J. Whatley, two brothers, Harvey Whatley of Dallas, Walter Whatley of Ft. Worth, three sisters, Mrs. C. Carroll of Ft. Worth, Mrs. Clifford Brewster, Bearden, Arkansas, and Miss Sallie Whatley of Sulphur Springs survive. Also besides her husband, three daughters survive, Mrs. Dial Gurrin and Mrs. Clive Templeton of Durant, Oklahoma and Mrs. J. K. Brim of Sulphur Springs. Funeral services were held Sunday with burial in City Cemetery." Also buried near Ida in Sulphur Springs Cemetery is her sister Sallie (1880-1974), who never married.